Welcome to Issue 8 of The Edge of Service. You are receiving this new newsletter as a friend or colleague, or because we've connected or interacted on service topics. If you choose, you can unsubscribe by clicking unsubscribe. I'm writing this on a flight home from Philadelphia—a trip that wasn't on my radar a couple of weeks ago. Sometimes, customer issues take their own course. In this instance, my client—a company I've worked with in the recent past who has a well-known brand in the region—is grappling with the unprecedented changes of an industry going through major upheaval (health care, in this case). They reached out this way: "We need help. Would you come help us?" It was a genuine, direct plea, and who among us wouldn't move anything possible to respond? As with organizations in other industries going through major disruption, how they respond will determine their future. Severe challenges, when followed by the right steps, can make an organization stronger than ever. We assembled a team, set up a "war room," and by the end of the week—through the hard work and input of many stakeholders—identified seven critical areas of focus (and prioritized steps under each) that will move them in the right direction. Rearranging a schedule to help a client is a modest example of a characteristic I've observed and admired in every successful service leader I've worked with. I hope you enjoy this issue. Janet Bailey was still in high school when she got her first job—working in a call center. It later evolved into a part-time arrangement that allowed her to work while she attended college. She recalls huge phones, multiple lines, and data entry on pen and paper. "When the phone rang, a line would blink and one of us would grab it." She took calls for everything from the Olympic Seed Club (which was a way for kids to earn money), to Williams-Sonoma and Frederick's of Hollywood. "It was quite an experience for a 16-year-old!" Fast forward to today, Janet is Director of Customer Service for Starbucks—a global operation that puts her on the forefront of social, mobile, contact center and all things customer contact experience. That for one of the world's most recognized brands—now at 20,000 stores in 60 countries, generating an annual $15 billion. "My job is to make it easy to be a customer, and to meet them where they want to be met." Janet's journey has contributed enormously to the wisdom and authenticity she brings to her team. 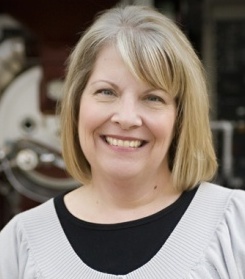 After her first job, her career wound through many roles, including service in a Bank of America branch, time out to have a family, a position responsible for outreach to donors of a university foundation, roles in manufacturing and customer service for HP, a season when she focused on recovering from an injury, and back to a contact center where she became Operations Manager. At Starbucks, her first responsibility was as Business Operations Manager for the customer contact center. In this role, she oversaw the nuts and bolts of forecasting, scheduling, knowledge management, training, quality, and project management. A subsequent stint creating the long-term strategy for Starbucks' customer contacts served as segue to her current position as Director of Customer Service. Ask her what her role is, and her down-to-earth clarity of focus is quickly evident: "My job is to make it easy to be a customer, and to meet them where they want to be met." 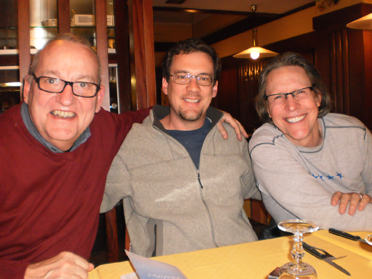 I recently reconnected with George Walther and Günter Greff, two longtime friends who influenced the direction of my early career. George has seen more of the world than most Secretaries of State (103 countries and counting). I first met him when I was in my early 20s and heard him speak on the brand value of customer loyalty; his talk helped seal my interest in the service space. Günter is a highly respected author and speaker from Germany, who came from modest means to today owning and running a beautiful boutique hotel in Italy's Liguria region (where we met). I began working with him over 15 years ago, when we delivered a series of seminars in Germany. Over a weekend, we compared experiences, perspectives, and predictions about the future of service. A common point of agreement is that the individuals (and organizations) who succeed will be responsive in big and small ways—e.g., to upheavals in markets and the openings they create to improve services; to ongoing changes in customer expectations; and to recognizing and helping—practically, daily—with the needs of those around us. We're in a season of unprecedented change, and individuals and companies that win will follow Janet's example. They'll be alert to the opportunities around them right now—and they'll be responsive. Organizations as of 2013 that had adequate technologies and processes in place to provide a consistent customer experience across departments and channels. Source: Gartner, Predicts 2014: Customer Support and the Engaged Enterprise. Overall increase in "customer rage" since 2011 (68% vs. 60%), despite the efforts of many organizations to improve service. Source: The 2013 Customer Rage Study, conducted by CCMC and NOVO 1, in collaboration with Arizona State University. Internet users who will opt for mobile customer service applications as their first option by 2015. "The third great wave of computing is upon us. It is an era of hyper connection, where billions of people and devices and things are connecting faster than ever. Some call it the Internet of Things. Some call it the Internet of Everything. But in reality, behind all the technology, behind every connection, behind every act and every device is the single most important element of all — a customer." Source: Serving the Connected Customer, by Martin Hill-Wilson for NewVoiceMedia. Quote is from the foreword by Dave Thomson. Think through something Seth Godin recently wrote (below), and take inventory of the opportunities you have to innovate, move things forward, and "make a difference." Minneapolis, June 12, 2014. MWCCA—keynote on the future of customer service, followed by reception. Nashville, June 24–27, 2014. Two–Day Workshop, Essential Skills and Knowledge for Effective Contact Center Management, for ICMI. Video, Should We Have a Chief Customer Officer?. Blog, Four Best Practices in Mobile Customer Service.